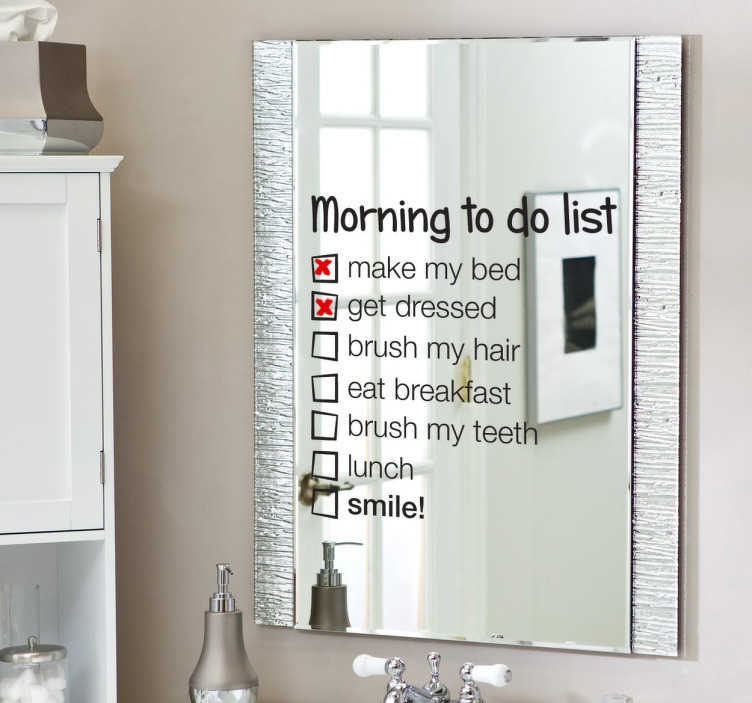 Mirror - Fun and playful feature to place on your mirror. A morning to do list as you wake up in the morning to follow. Available in various sizes and in 50 colours. Easy to apply and remove.